Visitors have accessed this post 81 times. In writing a program, there are times that you have to deal with the input and output process. The question is what kind of method you have to use to work it. So, in this tutorial I will teach you how to create a simple addition using console application in VB.net. This simple method will help you process the command line itself to find out what kind of output the user wants to prompt. 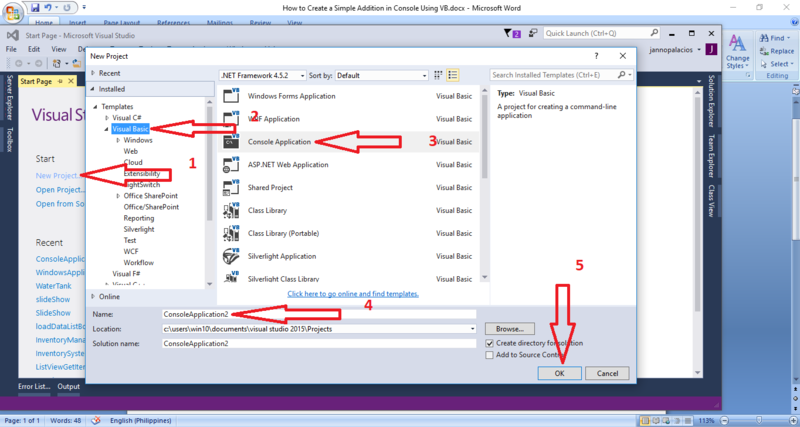 Open Microsoft Visual Studio 2015 and create a new console application. Write this following code for the input and output of the program.